In our interactions with Solar plant owners/operators, we came across this customer who was agitated. Large parts of his solar plant had suddenly become invisible to him in his SCADA dashboard ! Even more distressing was the fact that several months had passed with no solution in sight. Utility scale Solar plants use expensive SCADA solutions to keep track of Generation and the working of all key assets in the plant. The assets monitored typically consist of Inverters, Energy meters, Transformers and Weather Stations. The health of PV modules is monitored using String Monitoring Units (SMU), located in the String Combiner Boxes. We found that this customer was not alone in facing this issue. In the SCADA network, the data communication with all assets, particularly the SMUs, is a weak link. Debugging a broken down communication in a utility scale SCADA is actually challenging and few vendors are interested or have the competence. The original SCADA vendor typically, is unresponsive to such a situation, since the plant has aged beyond the vendor's warranty period. In this particular case, Megamic deputed its Engineers to diagnose, replace faulty parts and restore the data communication layer. Finally, the customer was able to see his complete plant in the SCADA! Megamic offers SCADA Restoration Services by its team of Competent and Experienced Engineers. In a short span of six months, the team has worked on SCADA restoration of four Solar utilityscale plants, totaling more than 45 MW! ​​Converter ports can get damaged due to missing SPDs (Surge Protection Devices), Effect of wiring issues, Incorrect or no earthing, Power supply surges etc. Depending on the cause, the card failures are either scattered throughout the plant or concentrated in a few sections. The first two issues above (Wiring and Converter failures) are relatively easy to fix once identified. But, the SMU card failures are challenging to resolve, if spare cards are not available or support from vendor does not exist, It is simply not possible to replace the SMU card with a new one from another vendor, as the the new cards would communicate to the SCADA in a very different way…and not show up in the SCADA display. This is where our unique offering makes a difference. 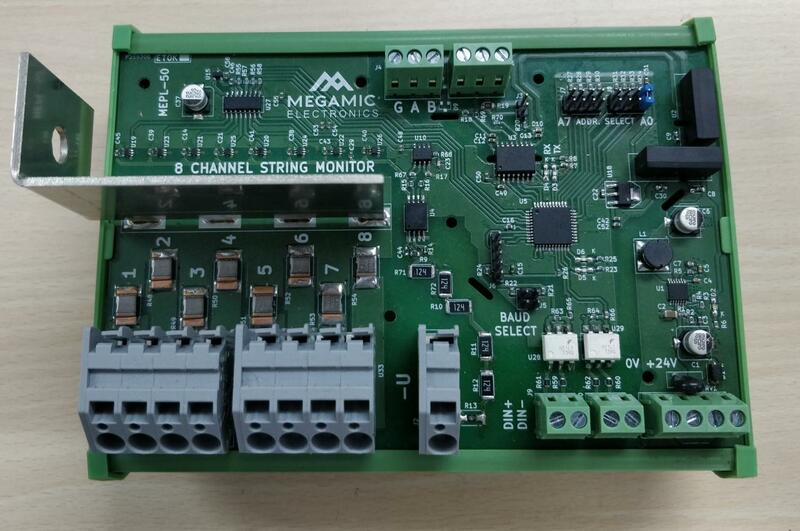 Megamic can provide its own custom SMU cards to replace the faulty ones AND ensure that they can communicate with the existing SCADA seamlessly! To ensure they can snap in to the locations of the old cards. No mechanical re-work at the combiner box level ! To ensure re-use of existing wiring. No electrical re-work at the combiner box level ! Do you have a non-functional SCADA in your Solar plant ? What are you waiting for ?